Previous messages have been ignored by governments and universities. Their intellectuals are under the MIND CONTROL systems of Carl Jung collective unconsciousness groups of people…..groups that control the social and political systems. George Orwell and Aldous Huxley wrote about these large groups of people ……who manipluate the subconscious mind and subliminal mind. Thus the SCIENCE WARS and atomic brain battles…… symbolic wars on televsion and magazines. Utoeya, OSLO ,Norway (representing OS /JCL) or base 16 hex region of HEX’AF’ = 175 = AF.ghanistan. The OS war (Organizational Systems wars) have been ig.nor.ed by OSLO , British and American institutions ……..despite requests for help in understanding this EARTH LAB process. Thus a consequence of arrogance and the pretense of intellectual superiority …….are events like the BALTIC region BAL tragedy in Basic Assembler Language…..in OS region OSLO. Governments may wish to instruct their universities to upgrade their incomplete perceptions of Nature, the Earth government, and the Margaret Mead atomic/astrophysics anthropology continuum. The Niels Bohr Institue and the University of Copenhagen and their European friends will not discuss their CAD experiments. CAD = Cadavers ….. such as the Utoeya bio-computer battles over the biological IMS database child records and the Liege bio-computer battle. The book “TALE of 2 Cities” thus describes the directly visible OSLO and the hidden OSLO. What is the ” TALE of 2 OSLO’s “? . . . . . Nature has taken a quantum leap in recent years ……and has equipped the EARTH government with dozens of new symbolic military tools, mathematical-physics forces, DATA FIELDS, vectors forces, magnetic field forces, gravity field forces, atomic element forces…..particularly nitrogen, oxygen and ferrous oxide atoms, DNA nucleotide military powers, etc. Examples are: – President Eisenhower and the announcement of the military industrial complex …….a complex numbers military project. – President NixoN and his N X N square matrix battles in V S (Vector Space geography region) as reprensented by Vietnam South math war in 1968. It’s a very interesting process. It takes a few weeks to understand this evolution of Nature’s social engineering processes. 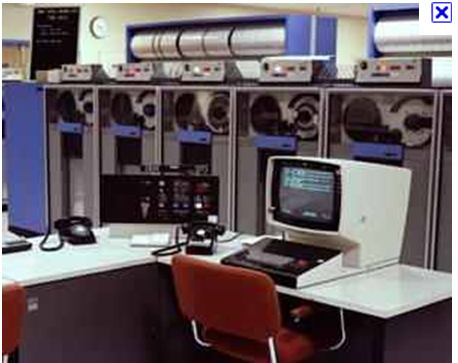 An example is the COMPUTER EARTH system 370 war reports …with BAL = Basic assembler language and human government brain computer nonsense experiments. 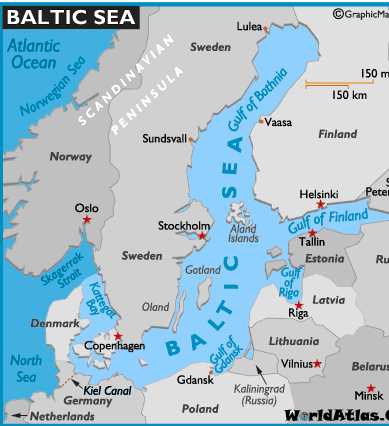 Thus the BAL geography region of the BALTIC with the Norwegian national assembly language brain computer experiments…… experiments that provides more data on the tragic processes they engage in. Thus the human bio-computer and its parallel …the copper wire computer. An excerpt from another blog outlines a similar situation. The Science War for control of Cities The H.G.Wells modern “War of the Worlds” for control of cities. The status review of cities. The State of Maryland is in the Eastern TIME error zone. The Baltimore Orioles BaseBall team is really a biological computer system; social behavior data processing system. BASE.BALL = BASE registers of BALL = Basic Assembler Land Language of COMPUTER EARTH. SAMMY SOSA –> SAM = Sequential Access Method SOSA = SOS America –> a TIME COMPUTER help signal. 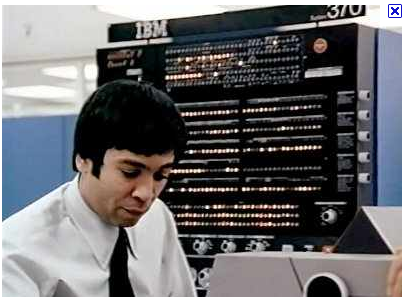 –>Sequential Access Method governmnent with UNIT = TAPE NIXON computer system tape message of the UNIT = UNIT(ed) States of North America …… COMPUTER EARTH system 370 North Pole magnetic DATA FIELD interaation with human iron Hemoglobin..thus creating a bio-computer …..Captain Picard …BORG like ……. human magnetic TAPE. –> Base 16 HEX SPACE plus Base 16 HEX TIME. . . . . . . .
Nixon bio-computer tapes –> Supersymmetry physics parallel <—- the tapes below. ……TICK / TOCK the biological clock Y2K errors . . .
UTOE –> Unified Theory of Everthing which includes UTOE –> Unified Time Order Entry . . . . . . . Thus giving the BALTIC geography region clock with the FATHER TIME puzzle…. Virginia TECH Mr.Clock HOUR battle –> Mr.CHO . . . . . So what is secret message of HO –> HOUR. And universities play dumb….TOO DUMB…especially in year 2011. The vast number of high school and basic college science and math books provide many clues…that help explain the deeper levels behind these tragedies. Like Shakespeare stated “The World is stage and we are the actors“. . . . . . .
Ni elements….such as Nitrogenous Bases as used by the DNA nucleotides…. thus the battle at FORT Hood was a DNA nitrogenous bases battle using Shakespearean human actors……..to send a subtle, deep, DNA social SIGNAL to DNA researchers……regarding the gestalt context of DNA within a larger social engineering picture. . . . . . In addition, we have the DANE parallel processing region of Dane County, University of Wisconsin, Madison and year 1970. Aug 24, 2004 – Fassnacht was killed in the explosion, and four others (4 symbols of injured DNA by univerrsity approval of BRAND NAME marketing/advertsing …….DNA word cvommand tricks) in Sterling Hall were injured. Years of research work was destroyed. In addition, at least … . . . . . Great Britain and Denmark ought be more careful with playing dumb and stupid ……when the data of STERLING HALL is obvious……..and we get incomplete reports of the events…with ommisson of many factors in modern THEATER of daily life. . . . .
– How was UTOEYA set-up with player Anders Behring Breivik? . . . Now, their silence and lack of cooperation in understanding this Margaret Mead atomic anthropology TIME message ……suggests they know why and how these tragic events occur. . . . . . . Let’s look at the Y2K problem of the BAL<b>TIC </b> region. Thus millions of students….have brain computer program defects. What was the biological clock TIME WAR message of Virginia TECH? We look at the Nature’s DNA military project on EARTH…regarding time life. This is a brief excerpt from the BLOG with keywords: TIME INSECTS..Science Wars. ….Twenty minus four = 16 hour day ( the April 16 math battle) . . . . Why the contradiction? And why does Virginia TECH refuse to discuss this issue..regarding the shooting by TIME AGENT Mr.CHO –> C + HO = CLOCK HOUR? . . . Thus we look at the astrophysics DNA time equations…. –> Twenty – four hours = 24 hours ……………four …………… 4 DNA nucleotides and the biological clock . . . . . . . . Now 2 word spellings exist on the INTERNET for the Norway tragedy: Utoya and Utoeya. Thus we have another TIME messenger with UTOE(Year)…abbreviate year to ya giving UTOE(ya). The intellectual neglect to upgrade the brain computer in year 2000 with the Y2K biological clock advanced feature…..resulted in another tragic SIGNAL….which has been ignored by Norway citizens…….since newspaper reports completely omit these factors …in the ROLE played by Shakespearan actor: Anders Behring Breivik. Finally we come to the double-helix world, Base 2 binary systems, parallel processing, supersymmetry physics…….concepts with some common features. Thus we look at WHO –> World Health Organization. In Computer Earth system 370 terms with the year 1895 H.G.Wells published project plan…the TIME MACHINE…we have a modern TIME COMPUTER….which includes the BAL.TIC processing region clock. This then relates to DR.WHO…the TIME Doctor …..and the television shows and paperback books…..
relating to the 2nd VIEW of WHO –> World Health Organization for space/time. Where are Hawking, Gibbons, and Thorne? Can they be bothered about EARTH LAB events?